Well I guess it’s time to FINALLY reveal my big news………..I’m expecting!!! Many of you readers had been emailing me asking where I was and if all was ok. I soooo appreciate you reaching out to me. I just needed to regroup over the summer with this life-changing process. 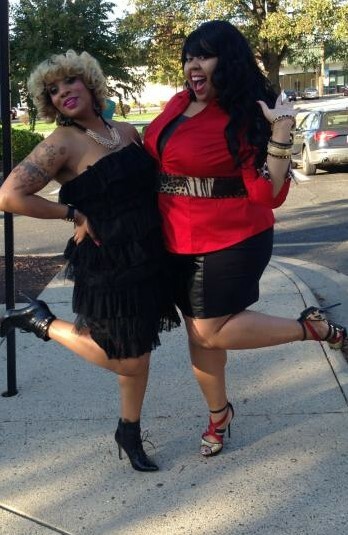 But I’m back now and ready to officially show off some plus-size preggo style. I have taken a few pics over the past month and many noticed my bump, but I wanted to wait until after my shower to make the official announcement. 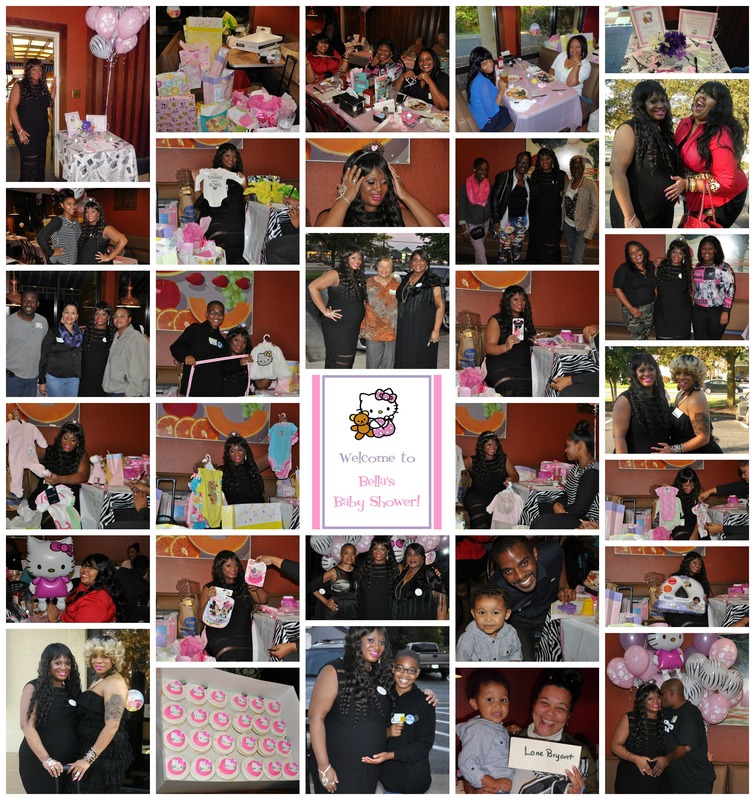 Over the weekend many of my family, friends and business associates celebrated my new arrival with a “Hello Kitty” themed shower…..yes, it’s a girl. I was over the moon happy with the turnout and show of support from all. 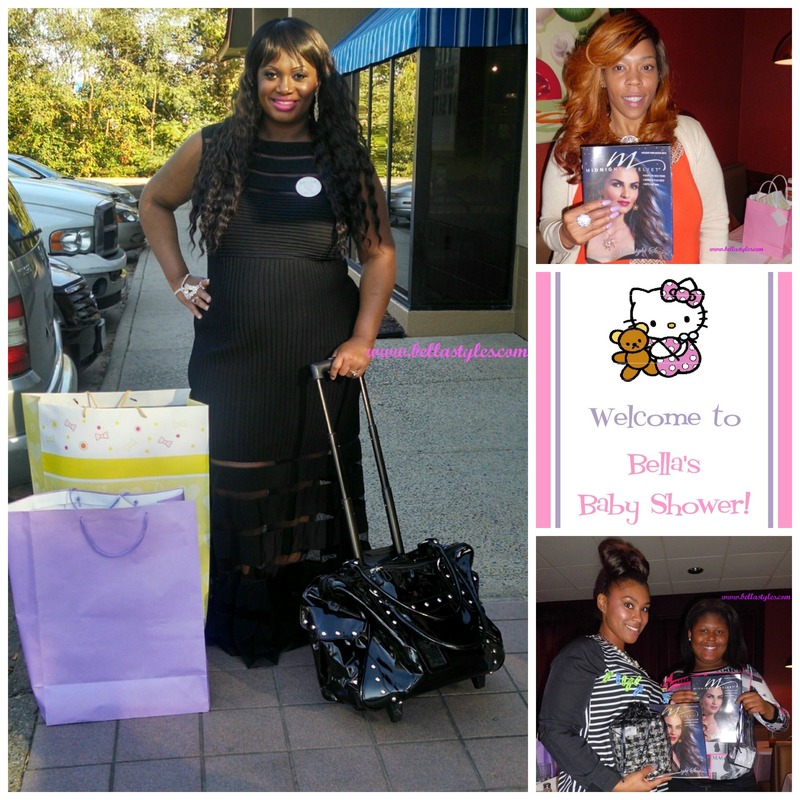 I received fabulous gifts and also gave away quite a few goodies to the lucky game winners. 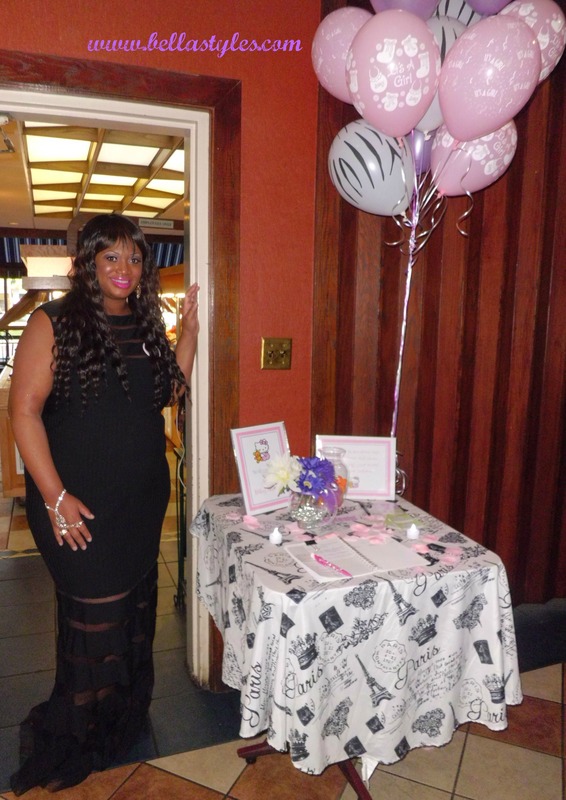 In planning for the shower over the past couple of months, I reached out to some of my fave companies that I have worked with over the years and they were more than happy to assist me with prizes for my special day. First up is Midnight Velvet who not only gifted me this beautiful Pear Crystal Hand Jewelry and Drop Earrings Set to wear for the day, but also this Studded Rolling Carryon to transport my game prizes in. For the Bingo game winners they were gifted various items from the Midnight Velvet site and my game host, Chanay, won the clothes pin game at the end of the night and received the grand prize of the hand jewelry set that I was wearing. 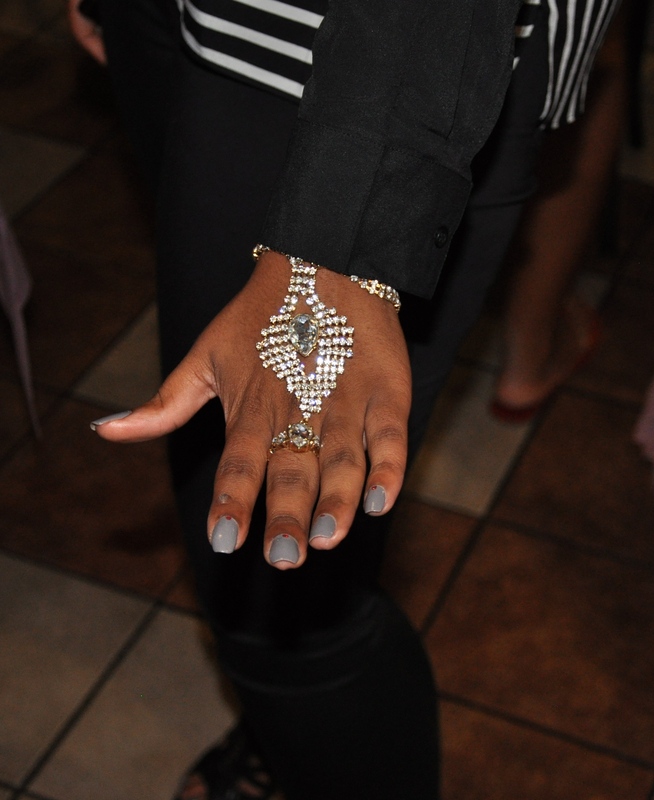 Another shower guest, Paris, won the faux diamond ring that she’s wearing below in the pic also courtesy of Midnight Velvet. I’m wearing the Tadashi Shoji Pintuck Gown ($408) from the 2012 collection. 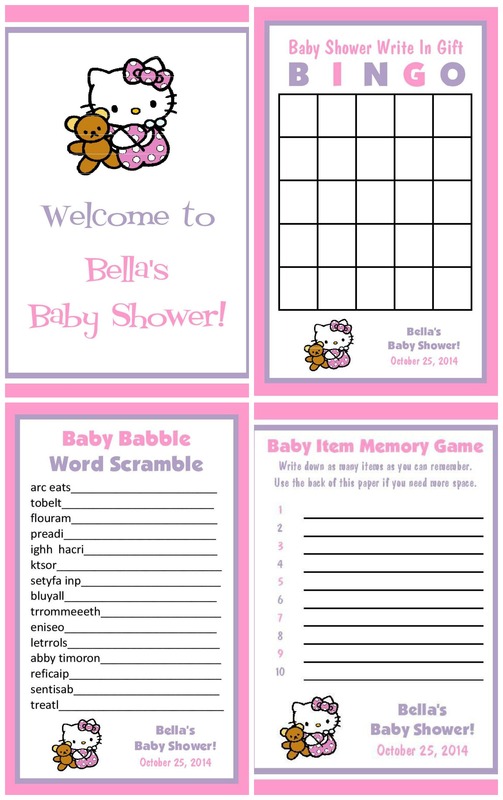 We played various games such as those listed above and I also added a twist with a game of who could name all of my favorite things and also I made up a game of who could name all of the celebs who are expecting or had a baby this year. 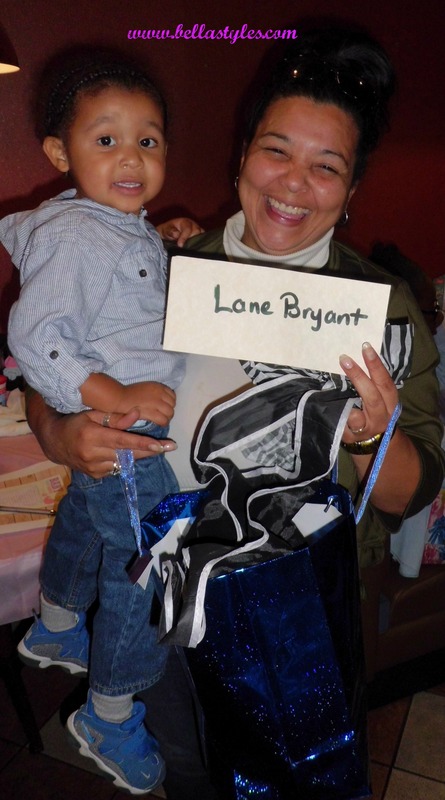 For my Baby Word Scramble winner, Danielle, she won a gift bag loaded with goodies from Lane Bryant including a $100 gift card to the store. Then finally for the person who was the winner of the string game, where they measured my stomach with ribbon and the winner was whomever was closest to my actual size, I had two ladies as winners and they both received $25 gift vouchers each to Asos. (Be sure to check out the Asos Maternity section where they have some fabulous, stylish baby bump clothing up to a US size 22). Everyone said that they had a great time!!! 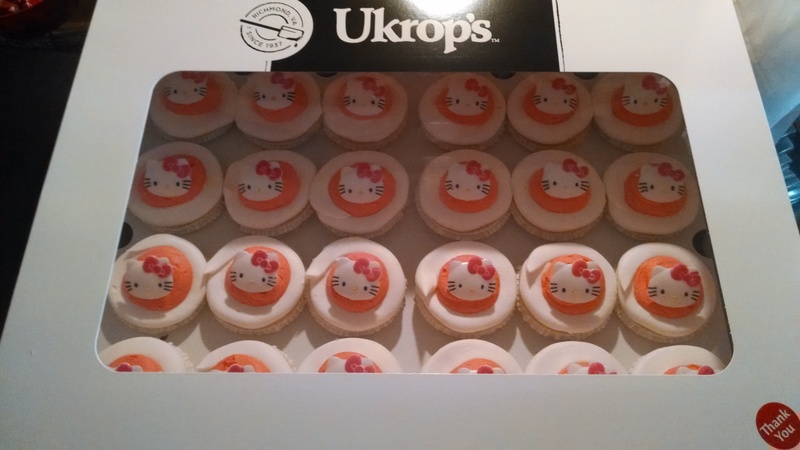 I served Hello Kitty themed cupcakes, via Martin’s/Ukrop’s, for guests to go along with their party favor bags. 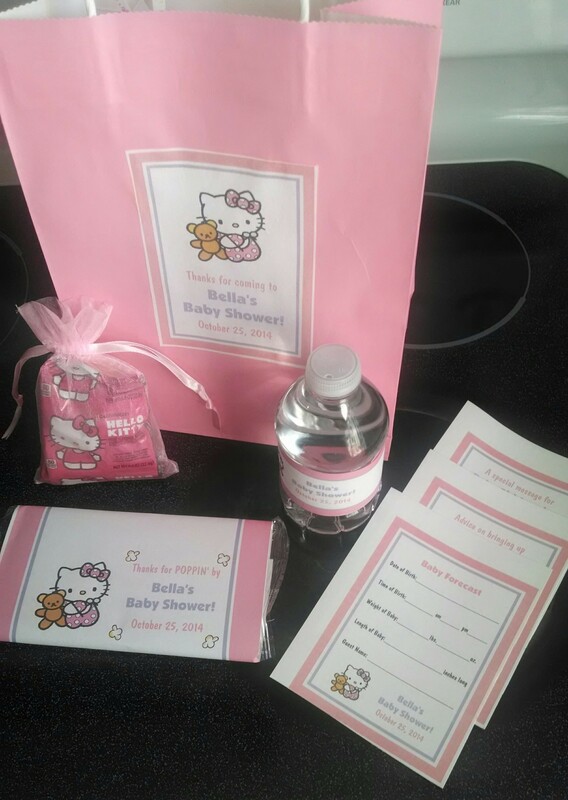 In each party favor bag was Hello Kitty candy, baby advice cards, misc. items and a signature bottle of water and popcorn as keepsakes. 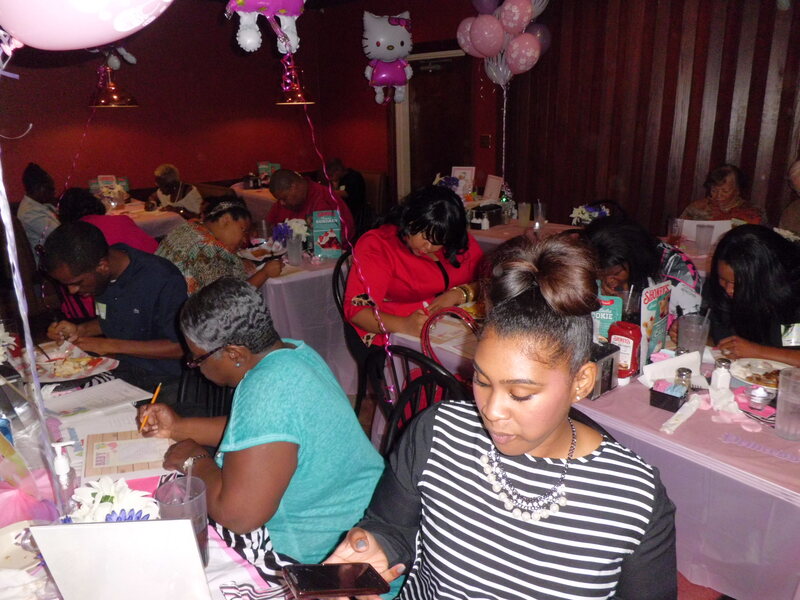 P.S.- A very special shoutout to Shoney’s Restaurant for hosting the event at their Richmond location. The staff was so courteous and helpful throughout the day and even assisted us with decorations. The private room was just perfect and the seafood and ribs (along with everything else) were too scrumptious. Congratulations! 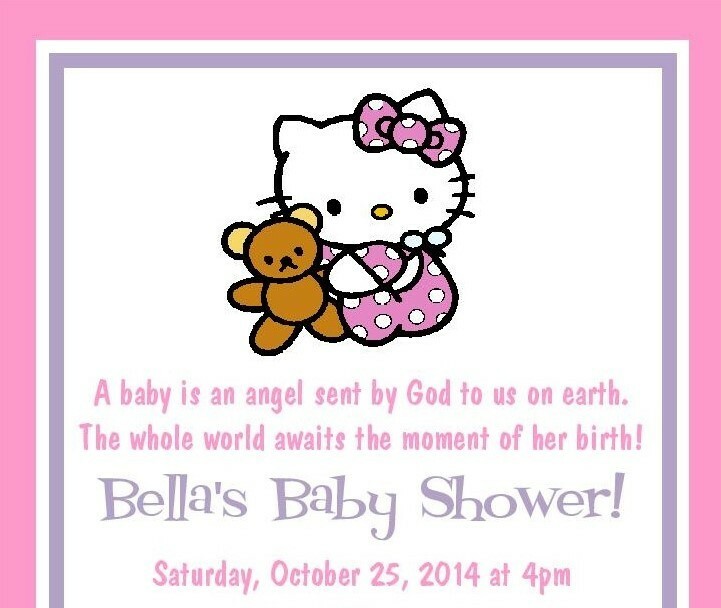 Many blessings on your precious little one and you.